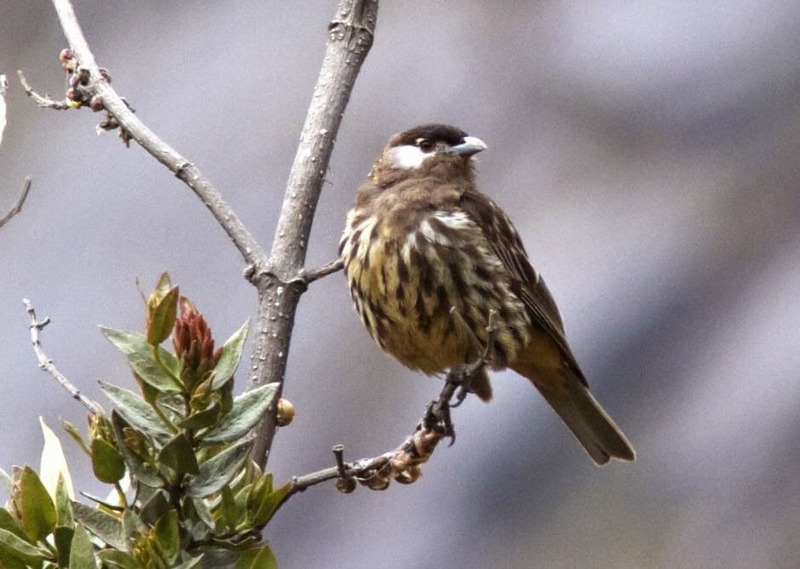 The White-cheeked Cotinga is a rare and local inhabitant of high elevation forests in the dry, western Andes of Peru. Its diet consists almost entirely of berries of mistletoe. It’s the only frugivorous bird in Polylepis forests in its range, and it’s thought that the White-cheeked Cotinga is likely the primary disperser of mistletoe.